Karbonn mobile phone has proved to be the mobile phones of new generation of. 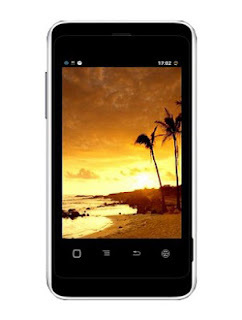 With the installed features Karbonn mobile phone has redefines our life in every possible way. Going by the mobile phone review it has been proved that these mobile phones are loaded with features, looks, quality, technology along with the good service its support staff provides. So it will not be wrong if we say they are the perfect example of harmony style blended with function. if we see the time between this year and last year, then we can find that the company has shown a very remarkable change in their cellphones. With their varied range they have compelled the market and the consumers to believe that this new age Karbonn mobile phones are planning to go on a rampage in acquiring a major chunk of Indian mobile market. After taking on the feature phone market, they have also started making Android handsets which went highly noticed by the our tech community. It relied on low-cost smartphones to have its space in the Indian market. And now the mobile phone review shows that it has come out with new range of affordable smartphones and tablets. Now Karbonn mobile phone is all set for its first phablet, a smartphone with a big screen. The first in this league is Karbonn A24. The Karbonn A24 review reveals that it comes armed with a 1.2 GHz dual core processor and runs on Android 4.1 Jelly Bean based smartphone. With these two features it is all set to take the mobile market by storm and surprise, as its the first device of its kind. The rear end of this Karbonn mobile phone is equipped with an 8 MP camera with LED flash. The company has also added a front facing VGA camera for video calls as well. The phone comes with a 4.5 inch display with a good qHD (960×540) resolution. The mobile phone review states that it is first for any Indian company to bring this sort of device and thats the reason why it's so very impressive. On earlier reports it was to be believed based that the display to be of IPS make, which is just better. The data connectivity features includes Wi-Fi for web browsing, GPS Navigation, GPRS, EDGE, micro USB and Bluetooth (4.0) for files and music sharing beside also supporting 3G. The sensors included in this Karbonn mobile phone are Gravity and Proximity sensors. It also has a 3.5 mm audio jack to let you enjoy facilities like listening and viewing songs. It supports various formats like MP3, 3GP, MP4, WAV and music player & 3GP, MP4 video player. The Karbonn A24 review stamps this handset as the company’s fastest Android smartphone ever. Not only that, Karbonn is all set to become the first in the world to launch a Jelly Bean based smartphone. The price at which it is sold is surely let you have the full satisfaction. Author Bio: Robert Blume is a well known author and has written articles on Karbonn mobile and many other subjects.